Max loves to have sleepovers, whether that be at his grandparents, in a tent at a festival or with his school friends. Unfortunately we don't have the most space in his room, so are always thinking of new ways and kid's beds to make the most of these fun experiences. That's where The Snuggle Sac Pirate from Ollie & Leila has come into play. 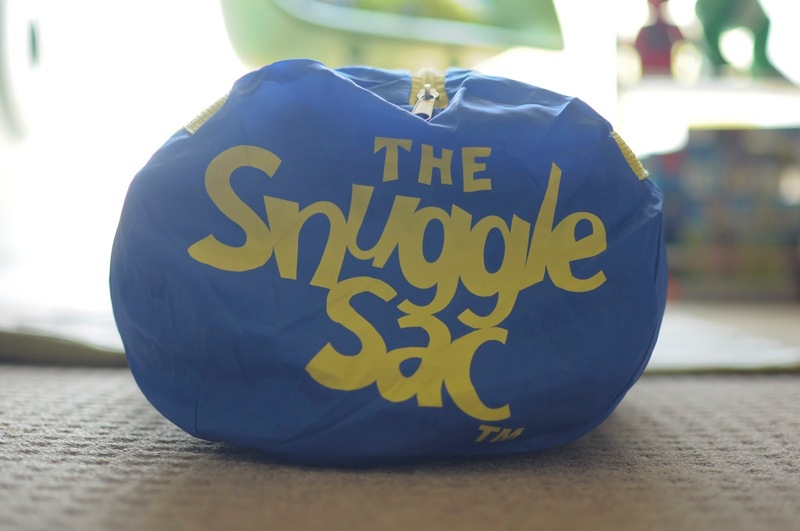 The Snuggle Sac is a kid friendly sleeping bag that is made in a soft and fleecy fabric that is perfect for everything from sleepovers to regular sleeping. The are designed to be used every day of the year if needed and are completely machine washable which is perfect for little ones. 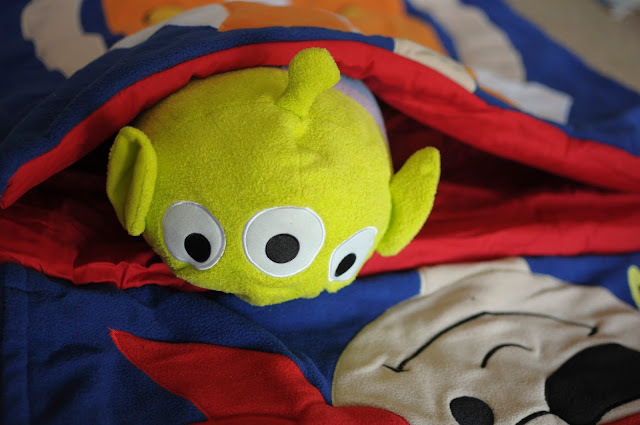 They are designed to be a constant comfort blanket for kids, especially ones that are prone to kicking off their covers at night. Max always has to have a fleecy blanket with him so this sleeping bag is perfect for us. Once rolled out of the handy storage bag, this sleeping bag is gorgeous. 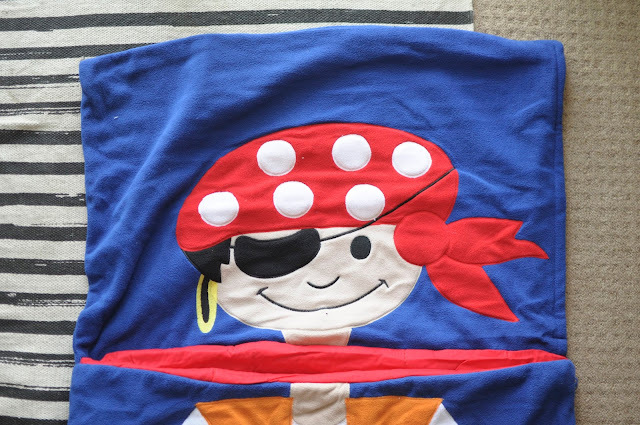 It has a wonderful pirate design which is perfect for my little captain after a long day of playing. They come in a variety of different designs from fairies to funky patterns. The soft navy fleece compliments the red cotton lining and the motif itself continues with the fleece material, meaning that there's no rough areas and it's completely comfy for your child. There's a gap in the side of the headpiece allowing you to pop a pillow in there to make it more comfortable for the children. It works brilliantly for us as Max is always losing his pillow as he moves in bed, so this keeps it in place for him. Max has been sleeping on and off in the Snuggle Sac since we got it a couple of weeks ago. I can honestly say it's pretty magical. Each time that Max has slept in it he's settled so much faster, stayed asleep longer and even had the rare lie in. 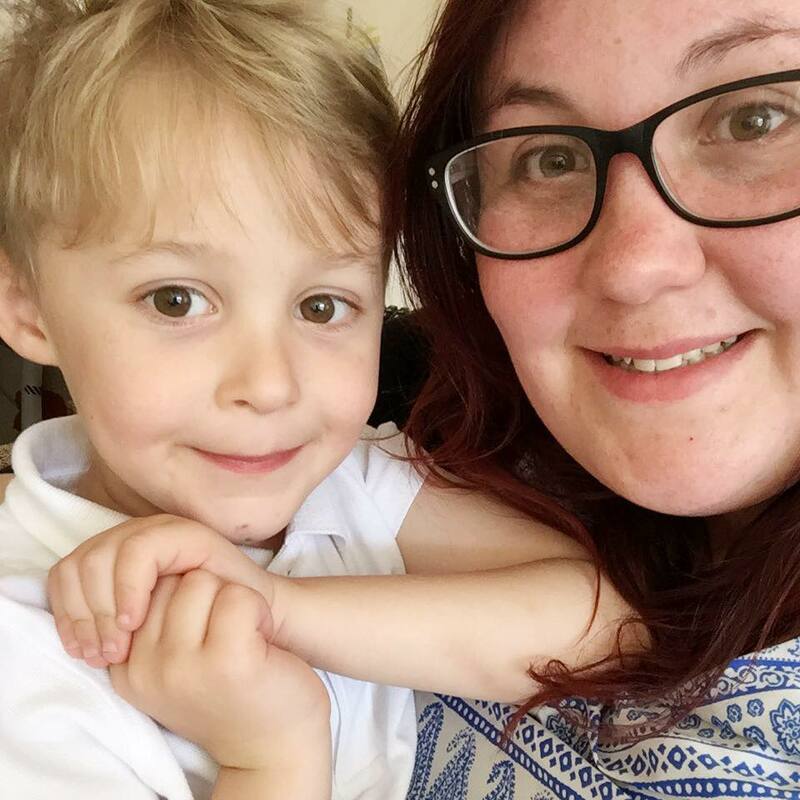 The fact Max doesn't loose his covers, has a comfort blanket and is in a sleeping bag that feels like a constant hug means that he has a more settled sleep and for that I'm going to be thanking Snuggle Sac every day. I love that this is a product I can take on the go. 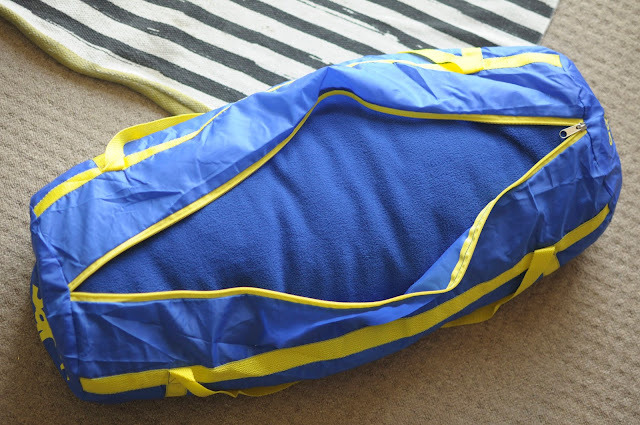 I just have to roll it up and pop it in the car, so wherever he sleeps, he can have that continuity of the Snuggle Sac to help him settle at night. We love it so much we are even thinking about picking up a spare so that we can keep one at the grandparents house. Thank you so much Ollie and Leila for introducing us to such an amazing product.